The ‘will he – won’t he’ question was answered emphatically when it came to Kepa Arrizabalaga being selected for the starting eleven, at Craven Cottage, yesterday. After being dropped for the Tottenham Hotspur fixture, in midweek, after his Wembley shenanigans, the 24-year-old Spaniard was given the opportunity to make amends, against Fulham. And, thankfully, he did just that. 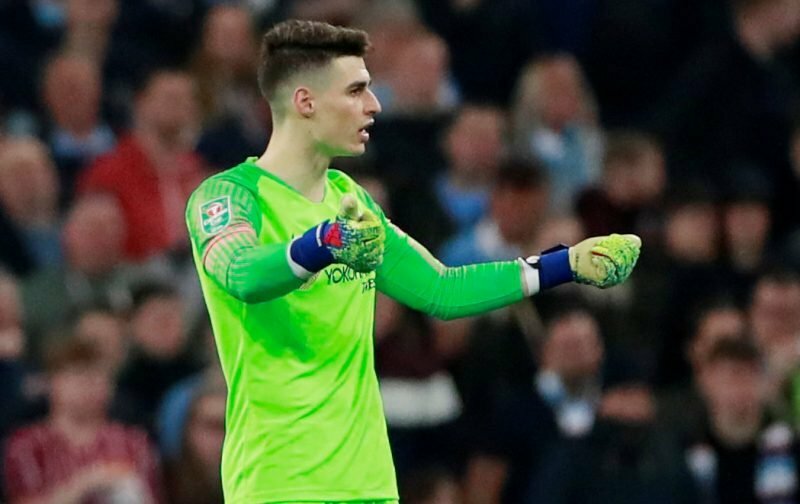 After a nervy start, whereby the young keeper made a hash of a cross in the swirling wind, Kepa went on to produce a performance that saw him be a strong contender for the man-of-the-match award. With Fulham looking to get a good result in the first match of the managerial reign of Scott Parker, Kepa made a series of flying saves to enable Chelsea to hang on to their narrow 2-1 lead. “Kepa is a man. He understood the mistake. Strangely enough, before Kepa produced his top-notch performance, there were some Chelsea supporters who verbally abused the Spaniard and there was I thinking we should all be getting behind whoever is selected to wear the coveted Chelsea shirt! I’m surprised to hear he was verbally abused …. thought that was over after he paid for his immaturity with a fine & being dropped for a game. Kepa is still young, he will become much better in 2-3 years time, and justify his price tag. Of course we had to overpay because of blabbermouth TBo.